UPDATE (Friday, 5 p.m.) – With a news conference at Northern Michigan, College Hockey Inc. and other representatives formally announced the new feasibility study to help the Wildcats explore the possibility of adding Division 1 women’s hockey to their list of varsity sports. NHL Vice President Kevin Westgarth, College Hockey Inc. Executive Director Mike Snee and WCHA Women’s Commissioner Katie Million and Northern Michigan Athletic Director Forrest Karr were present for the announcement. College Hockey Inc. has helped a few NCAA schools conduct feasibility studies in regards to adding Division 1 college hockey programs with funding from the NHL and NHLPA. For Northern Michigan, the first ‘women’s only’ feasibility study will be conducted, a source close to the situation has told MiHockey. An official announcement will come tomorrow. Northern Michigan’s men’s team plays in the WCHA, which also has a women’s college hockey conference, as well. 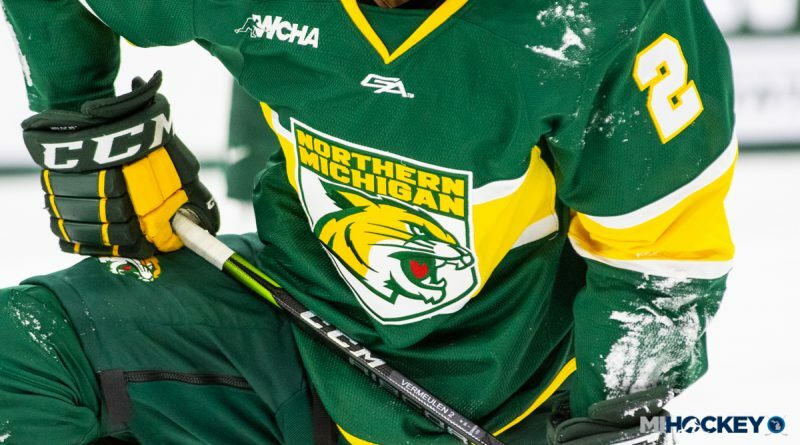 If the Wildcats were to add Division 1 women’s hockey, NMU would be the only school in Michigan to offer that varsity sport. Oakland University is in the midst of a feasibility study, analyzing possibilities for both men’s and women’s hockey. The first feasibility study was announced for the University of Illinois in June of 2017.